Increased banking traffic means Russia now has a seat on the board of the SWIFT global interbank communications system. The seat comes at a time of increased pressure for Russia to be removed from the organization because of sanctions. It is the first time Russia has had a seat on the 25-member board of directors of the Society for Worldwide Interbank Financial Telecommunication (SWIFT) since it joined in 1989. Every three years the organization reconfigures the shares among the countries participating. Each country receives a number of shares in proportion to the traffic in the system. The reallocation has led to changes in the structure of the board. “By the end of 2014 the SWIFT traffic growth in Russia allowed us to reach thirteenth place in the world, so Russia has increased its stake to a level that allows it to nominate a candidate to the Board of Directors”, the executive director of the Russian National SWIFT Association Roman Chernov told RBC. On this basis, Russia gained a seat as Hong Kong lost one, Belgium gained an additional seat giving it two and the Netherlands lost a seat giving it one, according to The Banker. “The threat of disconnection from SWIFT does not decrease after the appearance of the Russian representative on the board of directors, since the decision to disconnect from SWIFT is independent, but such a presence means that we can influence decisions made by SWIFT in terms of the introduction of the new standards, service improvements, and tariff systems”, Alma Obaeva, the Chairman of the non-commercial National Payments Council was cited as saying by RBC. At the end of last year, the Central Bank of Russia (CBR) launched an alternative to SWIFT for domestic payments which was a part of a broader move to get away from Western financial dominance. The new service allows credit institutions to transmit messages in a SWIFT format through the Central Bank to all Russia’s regions without restrictions. The SWIFT system connects more than 10,000 banks in more than 200 countries and provides the messaging that makes trillions of dollars of international payments possible. 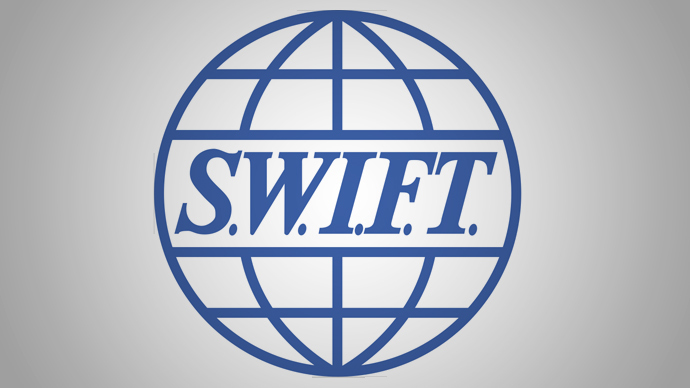 SWIFT, is currently one of Russia’s main connections to the international banking system. In Russia, ROSSWIFT is the second biggest worldwide SWIFT association after the US. The interbank system has 23 offices around the world. The new board of directors will be approved at the annual meeting of SWIFT’s shareholders in June 2015; the Russian director will assume the post for a three-year period.